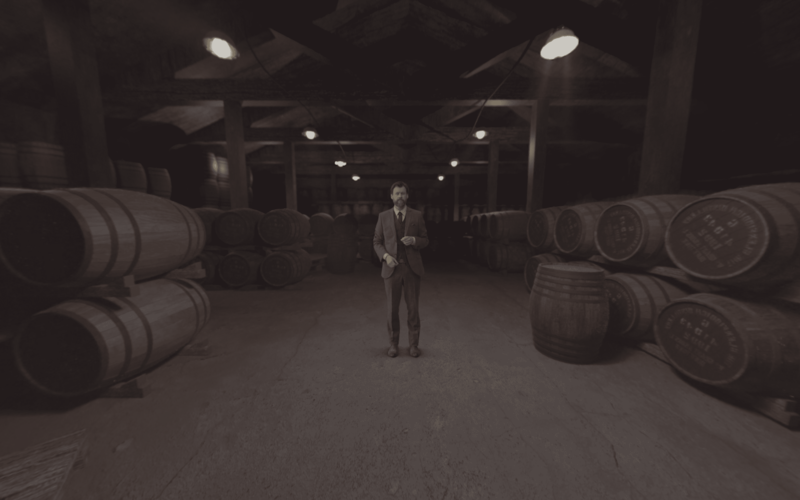 Earlier this year Ape to Gentleman headed down to a studio in Wimbledon to witness the beginnings of something rather a unique; a distillery tour with a difference- where whisky enthusiasts can visit the famous Glenfiddich Dufftown distillery using ground breaking virtual reality (VR) technology. You might have noticed VR becoming ever-increasingly popular and for good reason, it gives a ‘first-hand’ experience, it’s incredible in fact. 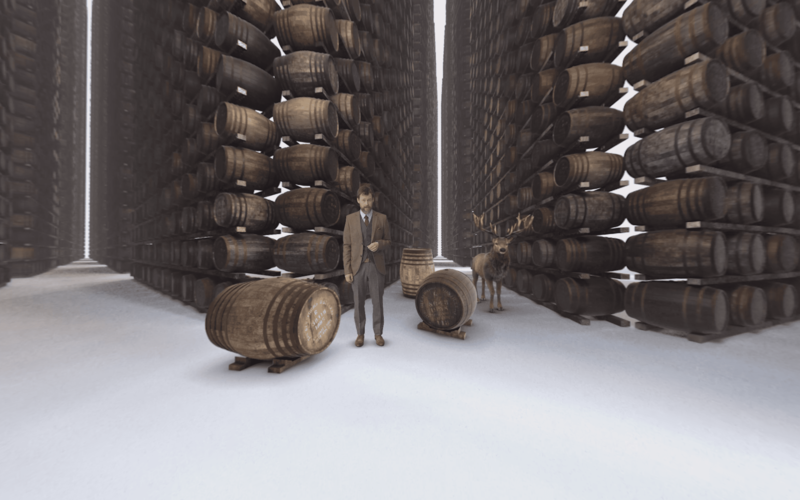 Glenfiddich’s VR experience is called “Journey into the Mind of the Malt Master” which immerses you into the heart and soul of the Glenfiddich distillery, highlighting the mastery and craft of single malt whisky production, like you’re actually there. 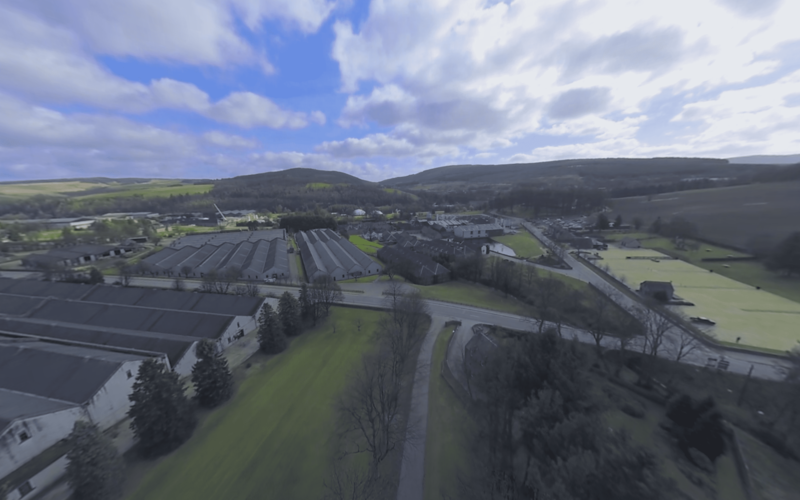 It’s a 360° journey which begins by soaring above the Speyside countryside and from there into the distillery. 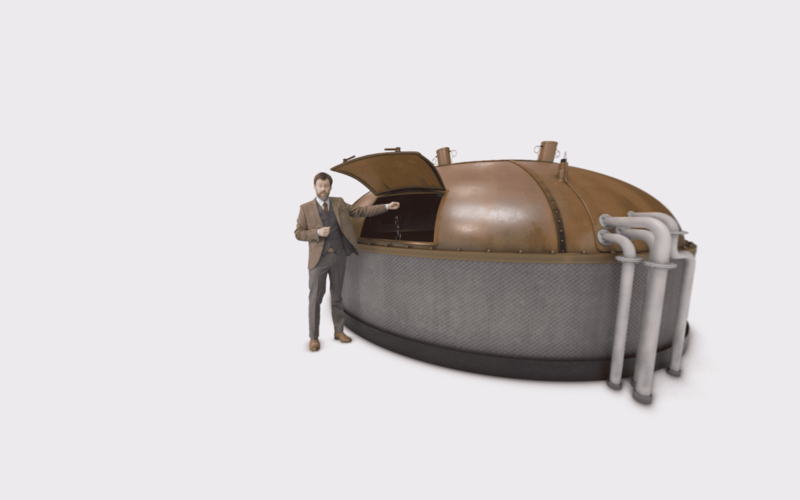 You see a unique perspective from inside a mash tun, while steaming copper pot stills slide past, fermenters drop down and thousands of casks in the warehouse build up around you. 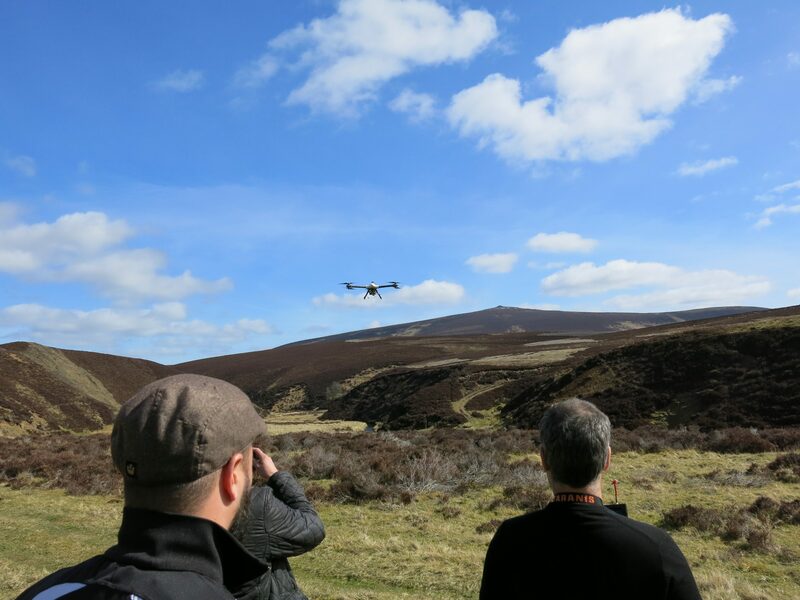 It’s hosted by a charming Scottish guide and even the iconic Glenfiddich stag makes an appearance or two. As polished as the experience will no doubt be, creating the VR was a painstaking process. From numerous takes whilst the actor tried to follow not only the script but also a map on the floor so his movement matched up with the imagery and footage. 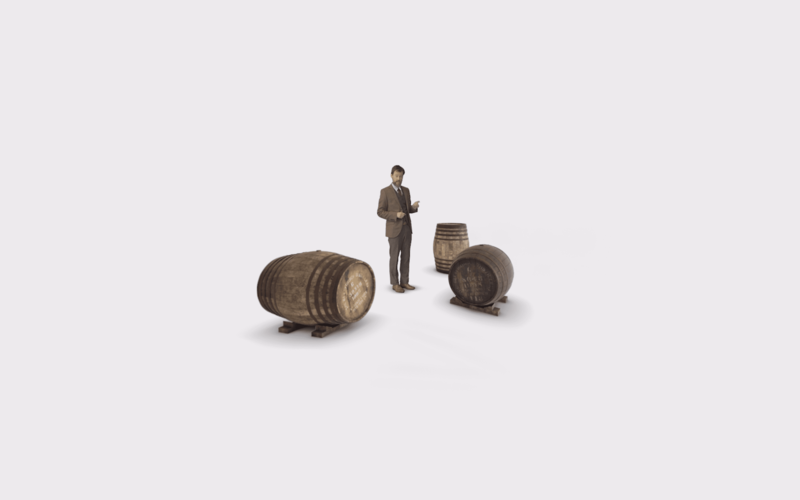 The production techniques are seriously high end and cutting edge including photo-real 3D computer-generated imagery (CGI), drone footage shot live on location at the Dufftown distillery and with cutting edge image stabilisation tools and live action tracking camera shots composited into a CG environment. 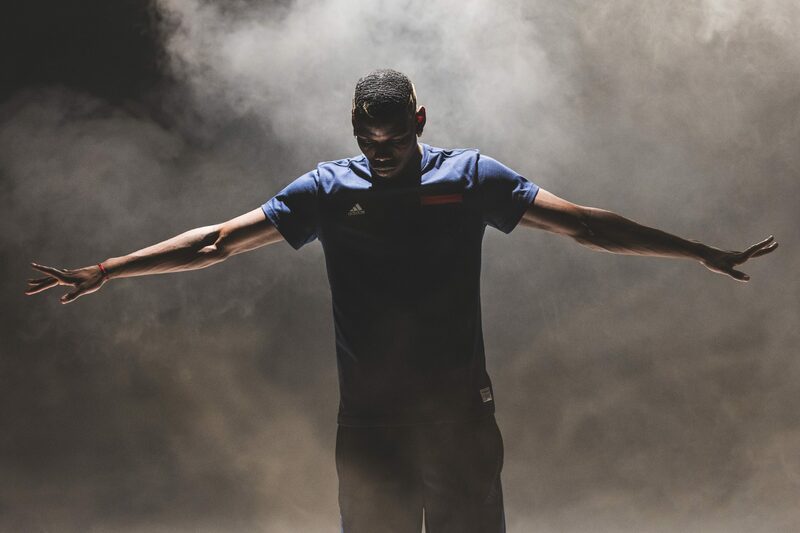 The final reveal will be releasing on Ape to Gentleman next week… stand by. The VR project was filmed and produced by creative agency Space.